It's the ultimate channel content cheat sheet! Experienced channel pros know that the key to scaling a partner program is finding ways to get the right information to the right partners at the right time. Accurately mapping channel communications and content along the stages of your partners' journey from onboarding to high producer is crucial to ensuring solid enablement, maximizing engagement and shortening each partner's time to full revenue performance. 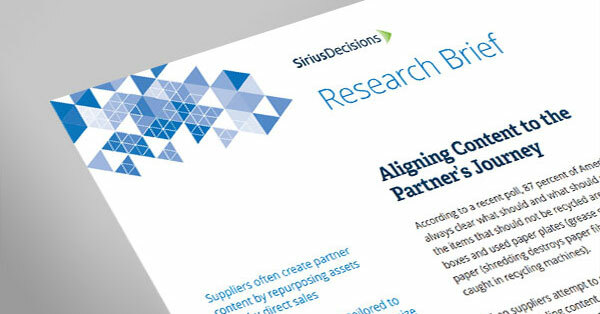 This SiriusDecisions guide walks you through their secret recipe for how to do it the right way.